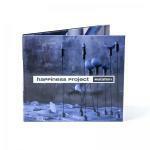 The new album by Happiness Project is out today! 10 new tracks for Mutation including, of course, the single Big Cities. Digital version is also available on usual platforms. We still have some copies left of the almost sold-out 6-track limited edition mini-album Big Cities EP, including remixes and exclusives tracks, don't wait to much if you want to get your copy! it has even maybe already arrived to some of you.